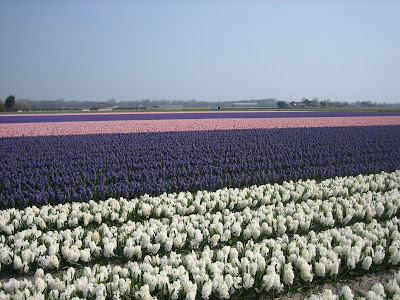 Holland is dikes and polders, windmills, and of course tulips. This week, a photo impression of the bulb region, the Beemster polder and the windmills of Kinderdijk. Both Kinderdijk and the Beemsterpolder are Unesco world heritage sites. 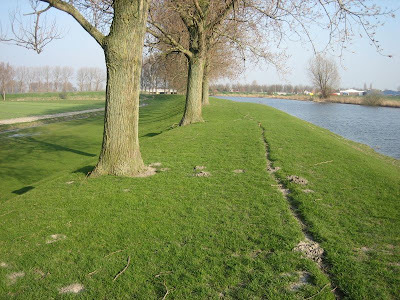 A dike in the Beemsterpolder. Note that the polder land to the left of the dike is lower than the water to the right of the dike. Thank you for a delightful trip down memory lane. 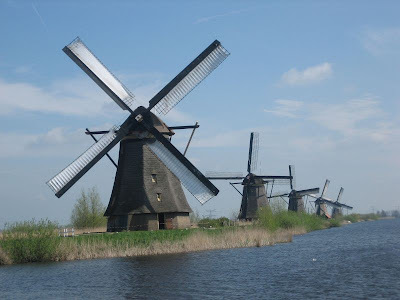 We visited in the spring of 1987 - Arnhem, Amsterdam, the Keukenhof, Haarlem and Delft - including a stop at Kinderdijk to tour the windmills. It was our first and favorite vacation while we were stationed in Europe. You're welcome. I hope you enjoyed the other photo posts too!